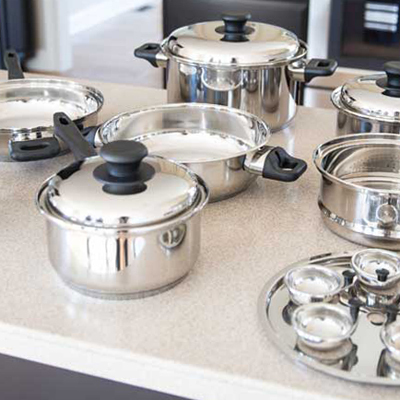 For the meal that needs a bigger skillet than you own, you need our stainless steel oversized skillet. 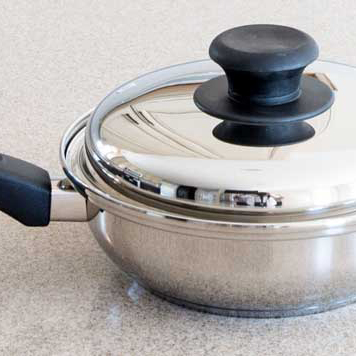 This large 14-1/4'' diameter skillet is 4-3/8'' deep. 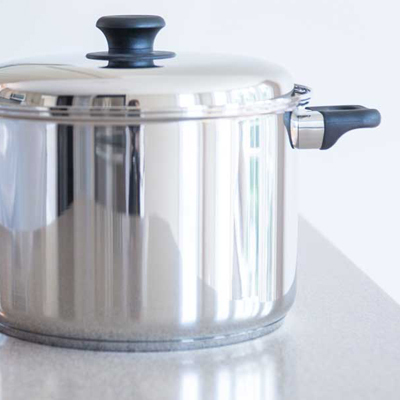 Fit the stainless steel steamer inside and steam a bushel of vegetables. 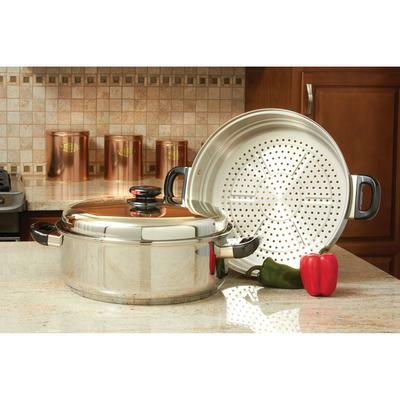 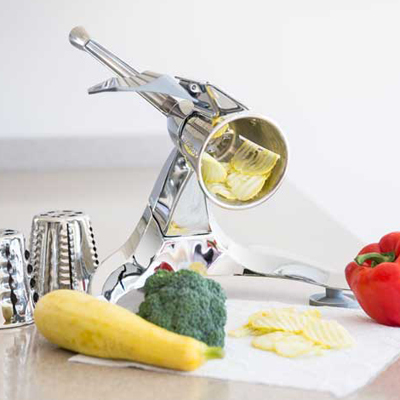 Skillet and steamer feature, riveted heavy-duty helper handles.